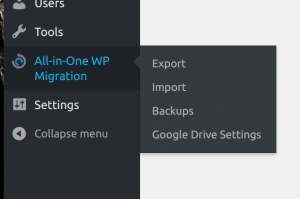 Google Drive Extension extends the functionality of the All-in-One WP migration plugin, connecting it to your Google Drive account. This facilitates importing and exporting your website/network of sites directly between your Google Drive cloud space and your website. When clicking on it you will be redirected to the settings page. You will be asked to enter you Google Drive login details in order the extension to connect to you account. You will not be able to use the extension if you do not connect I with your account from here. 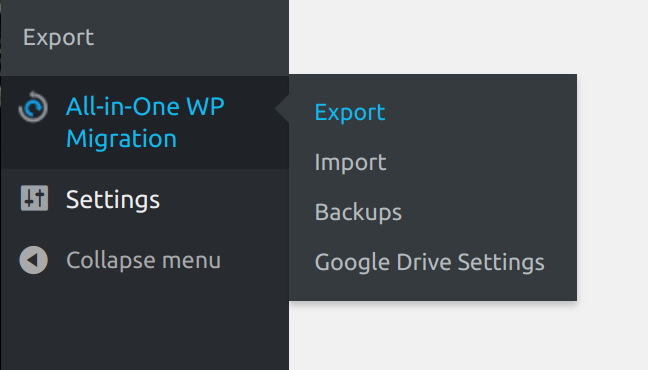 The extension creates a folder in your Google Drive account named “[your-wordpress-site-name]-wordpress” by default. 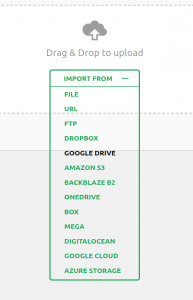 You can also set up your preferred destination folder in your Google Drive account to store the backups. 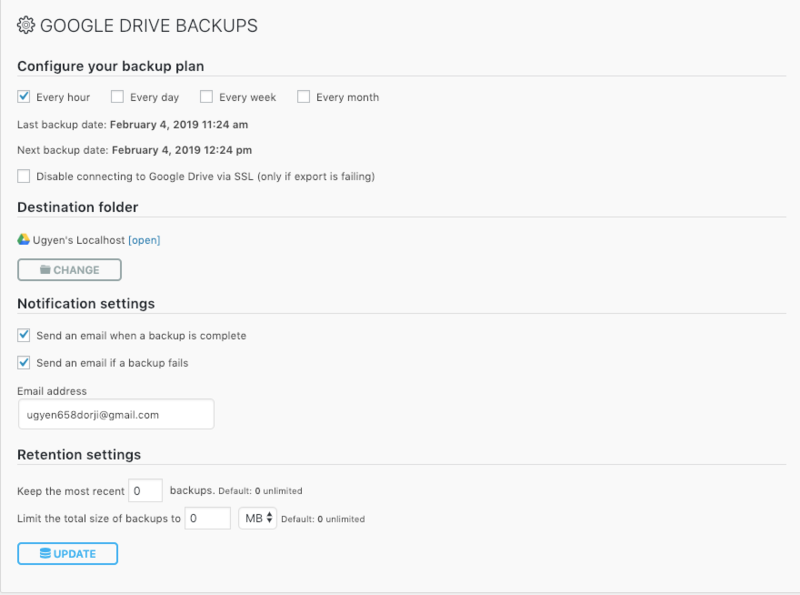 Another option you can use is setting the number of most recent backups that are to be kept on your Google Drive cloud storage. Additional to this, you can set the total size of backups you store in Google Drive – a very convenient option if you have limited space available. After setting up your desired options, press ‘Update’ button in order to save them. NOTE: Once you have taken your first backup to Google Drive and a folder has been created, you can move the folder within your google drive without impacting the exports. It is not required to remain in the root of your google drive. I bought that addon plugin today, Its working perfectly. uploading backups in google drive. This plugin uploading backup on google drive root. and I want all my websites backup in a one master folder like “Websites Backups” and then all websites folder and then backup files. I want my google drive tidy up. Can you please help me about that. The functionality that you ask about is not available at the moment, but it is currently being developed. It will be present soon in next versions of the extension. Yes it would be great if we can chose a folder where to backup each website from the plugin, hope next version will include that, keep up the great work ! I’ve found that if I move the folder created by AIO WP Migration from the root of my Google Drive to where I intend, future exports are saved to that location. Is there a way to override the next backup date and time? My client does not want the google drive extension running during business hours and when the backup fails, making any changes on the settings page edits the weekly backup date/time data to 7 calendar days form when the change is made. We do not have this functionality yet, but we plan to include it in the future versions of the product. We’re also very much forward to this functionality. Will upload to Team Drives be a thing? We are planning to add this functionality in the future yes. In order to connect All-in-One WP migration plugin with Google Drive extension to your drive you are requested to enter your Google drive login details in the Settings page. 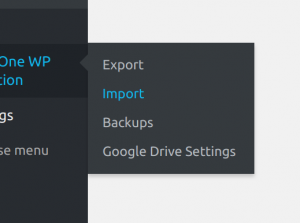 After creating a backup of your website, the Google Drive extension creates its own folder inside your drive using your credentials and uploads the backup in it. The credentials provided by you are kept inside your plugin installation. We do not have access to them or to your Google Drive. 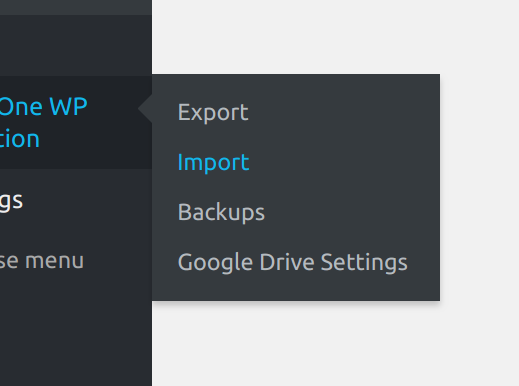 In the google drive page of the plugin you have some options to select how many backups to keep on your google drive. You can do this using the size or the number of backups to keep. I would recommend always keeping more than one backup, so you can se the number of backups to 2 or 3 and the plugin will delete the oldest one as it makes a new one. Question, how do I change the backup time? I would prefer it not to run at the time I installed the software and connected it to my drive, but a time that is outside of normal business hours. A manual override to set it to run between 10 PM and 5 AM, not 2 PM in the middle of the workday. As a workaround, you can configure and click “UPDATE” on your Google Drive Settings page about the time you would like the backup to be automated. If you click “UPDATE” at 1AM today, the backup will be created at 1AM on the next day for the daily backup option. I do have an idea that I hope will be integrated in the future: And that is to allow multiple email addresses to be added to receive notices of Backup success, and Backup Problems. I own several sites and would like backups of each site to be stored in its own folder in Google Drive. Is it possible ? The folder that is created in Google Drive storage is named with the site_url used for the site in WP installation. This means that if your sites are located inside different WordPress installations, folders for backups will be with different names for each site. 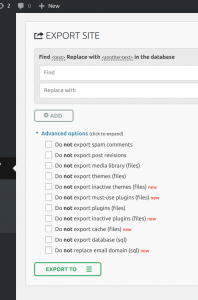 In case you are using a Multisite WordPress installation, the created backup will be only one. 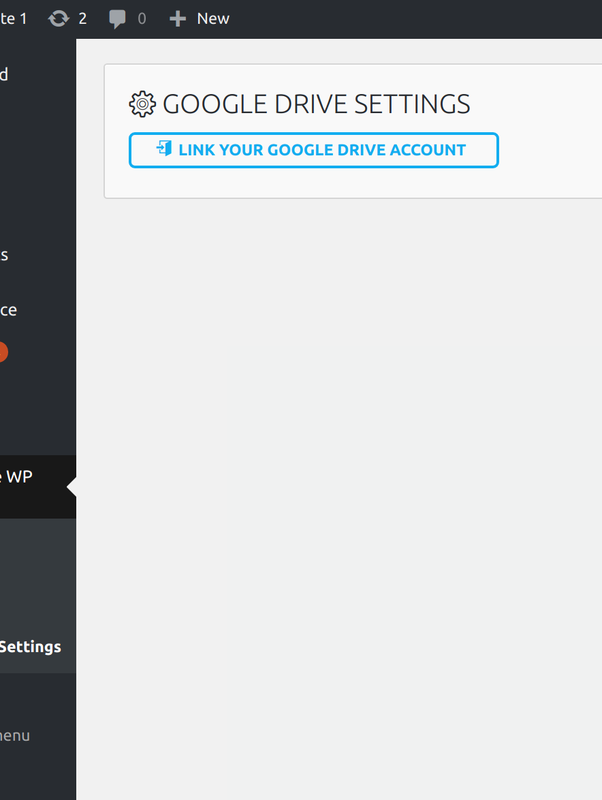 is created, doesnt it make sense to delete this backup-folder after the upload to googel drive is done? In rare cases failed exports and imports leave files in the storage folder. The plugin has a cleanup function that runs once daily and deletes any files older than 24 hours from the storage folder. If you do not delete the files yourself, then the plugin will do it for you after 24 hours. First off love your plugins and the ones I have bought have worked great. Question- When the Google Drive extension moves the file to Google Drive does it do it straight from my servers without going through my internet connection? The reason I ask is that I am in a rural area with limited capacity and do not want to take any of my limits on Gigs. moving files to Google. Yes, the GDrive extension will connect directly to Google servers and export or import the file for you. Your connection will not be used. is there a way to set the time when the daily backup should be done? 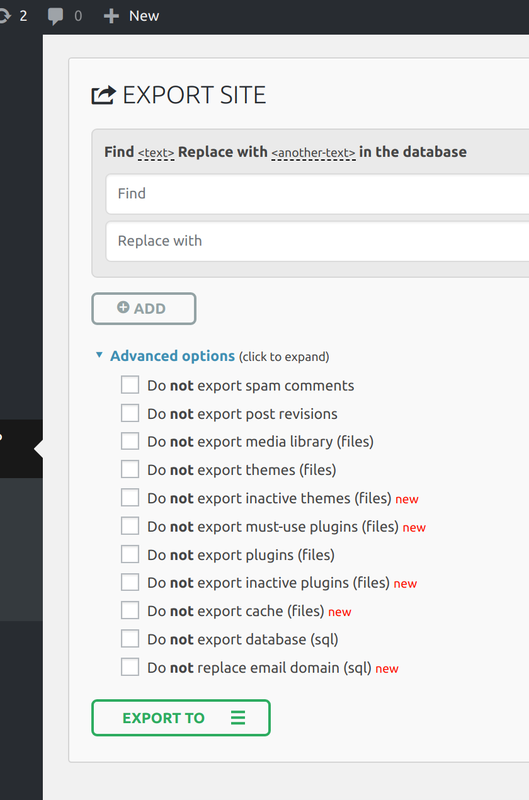 As a workaround, you can configure and click “UPDATE” on your extension Settings page about the time you would like the backup to be automated. Any plan to add Team Drive ? We usually setup the plugin on our clients websites. We don’t want them to be able to see/download someone else’s backup. 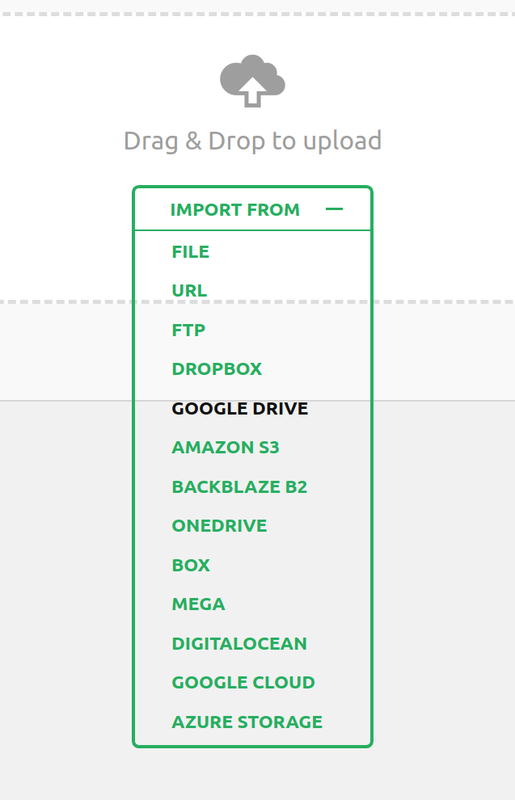 Team Drive is currently under QA and will be added in the next version of our Google Drive Extension. How many websites can be used? You can use it on all the websites that you own. Retrieving Google Drive account details.. ” I have tried with several google accounts and from two different servers, all with same result. Please advice! Are you using the base plugin (All-in-One WP Migration) version 6.82 and Google Drive Extension version 2.42? If so, could you reach out to us at support@servmask.com? I find the gdrive connection times out. Is there a way to make the connection indefinite? Could you send a screenshot where it times out to support@servmask.com?